I don’t know that I’d suggest that 256GB of storage in a phone has become commonplace just yet, but Samsung is ready to move well beyond that. The Korean electronics giant announced today that they are now mass producing 512GB eUFS chips for flagship smartphones and tablets, doubling their previous efforts. 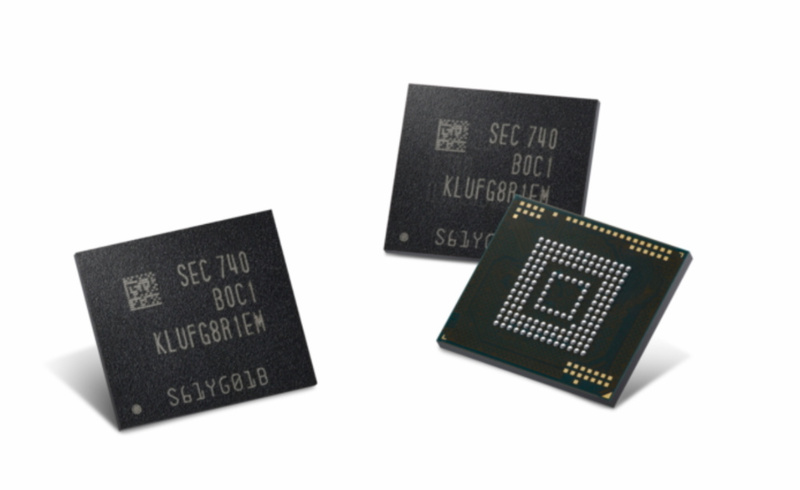 Samsung says they are the first to mass produce these 64-layer 512-gigabit (Gb) V-NAND chips and that these will provide “unparalleled storage capacity and outstanding performance for upcoming” devices. In terms of storage, we’re talking over 100 4K Ultra HD video files with a 10-minute duration. These new 512GB storage units can read at 860MB/s and write at 255MB/s, which amounts to a 5GB HD video clip transfer in six seconds. Those speeds are “over eight times faster than a typical microSD card,” according to Samsung. And they are right, even the A1 microSD cards from SanDisk, which are some of the fastest in the industry, top out at around 100MB/s. As for other specs, Samsung introduced power management technology here with an “advanced circuit design” in the chip’s controller that aims to minimize any increase in energy consumed. Finally, these new 512GB eUFS chips can read 42,000 IOPS and write 40,000 IOPS. I don’t know that anyone is expecting a 512GB storage option in the Galaxy S9, but maybe the Note 9 or the next wave of Samsung tablets? You ready for that much onboard, ultra-fast storage?